Lemon posset is one of the simplest desserts that you can make but the zingy lemon and fennel biscotti combination is so rewarding. This dessert has to be made in advance so when you are ready to plate up all the hard work has already been done. Over a high heat, in a small saucepan mix the sugar and cream and bring to the boil, stirring at all times. Turn the heat down to a simmer and continue stirring for 2 minutes. The mixture should have large bubbles. 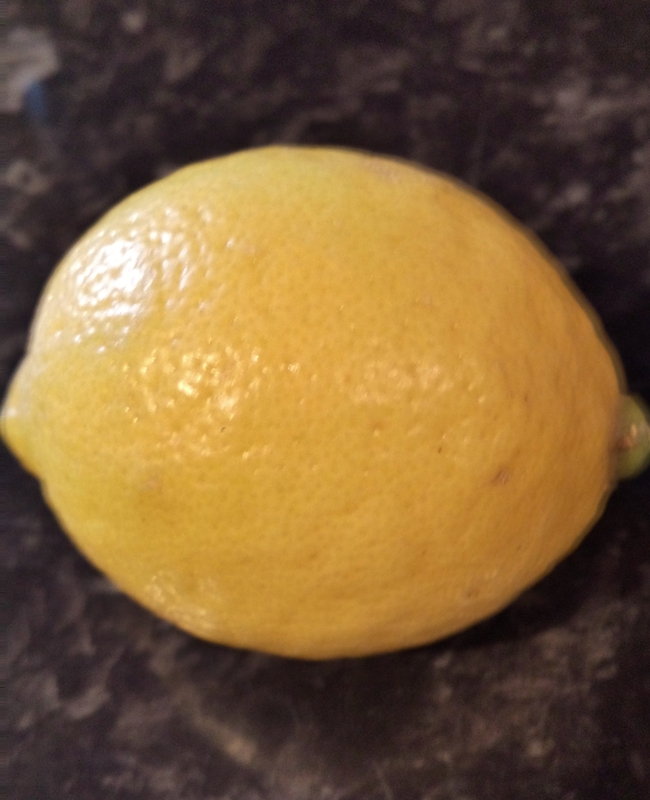 Add the lemon juice and whisk thoroughly until well combined. Pass the mixture through a sieve and leave to cool for 5 minutes. Skim any air bubbles off and pour into two serving glasses. Leave to cool completely then put them in the fridge for at least 2 hours to set. For the biscotti: pre heat the oven to 170°C/Gas mark 3 and line a baking tray with baking paper. Beat the butter and sugar together until light and creamy. Beat in the eggs, one at a time. Sieve the flour and baking powder into the butter mixture and stir until well combined. Toast the almonds in a small frying pan until lightly browned then fold into the mixture. Shape the mixture into a log shape on the baking tray and bake for 25 minutes. Remove from the oven and leave on the baking tray for 10minutes to allow to cool. Keep your oven on. 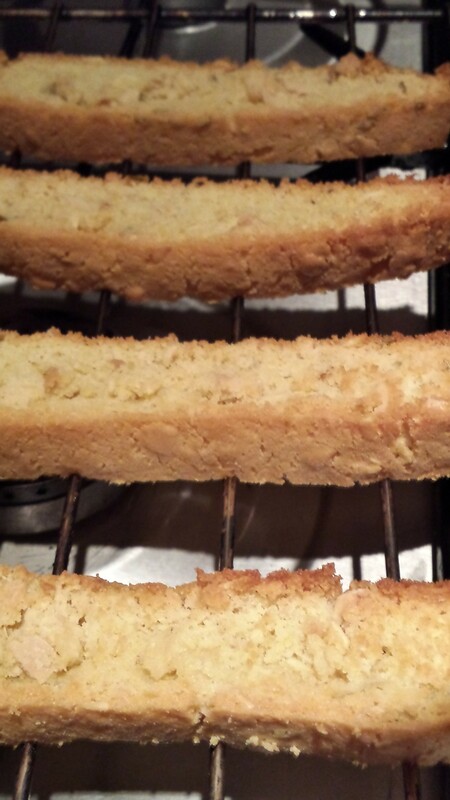 After 10 minutes, slice widthways into biscotti. Return the sliced biscotti back into the oven directly onto the oven shelf and cook for a further 8 minutes or until crisp and dry. Remove and leave to cool completely. Then store in an airtight container until needed. The extra biscotti will keep for up to a week. 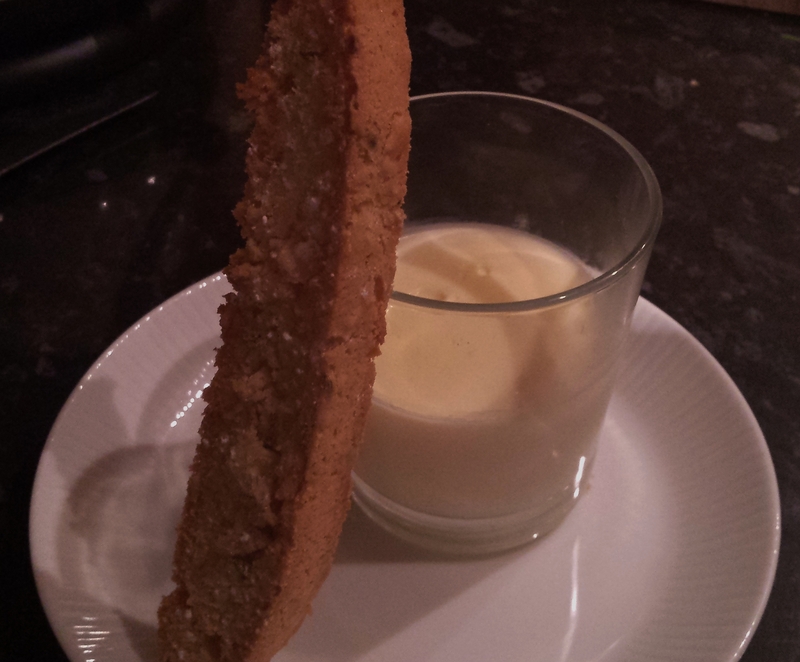 To serve simply take the possets out the fridge and place a biscotti on the side.